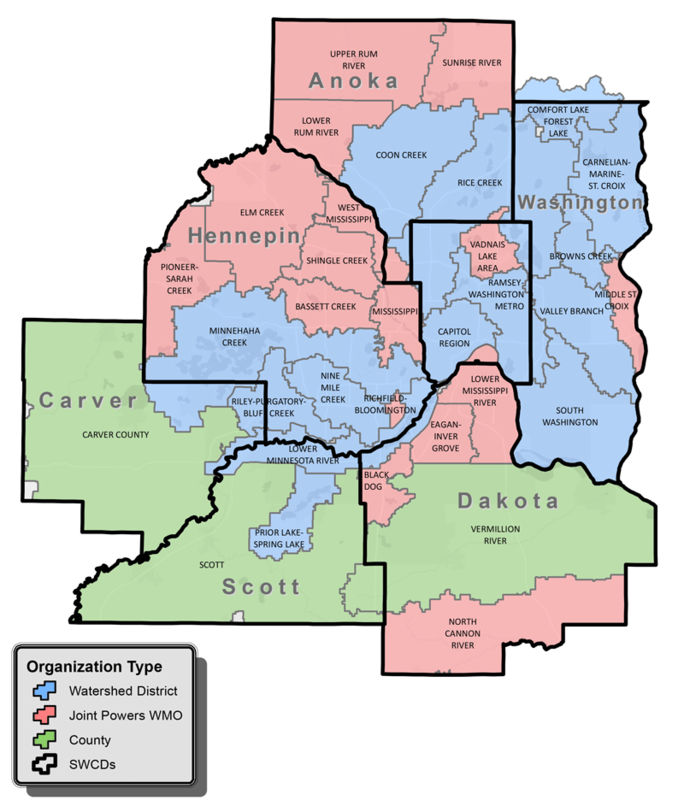 The entire 7-county metro area is covered by watershed organizations. Connect with yours to learn more, get help implementing projects, or participate in planning processes. Can’t tell which area you fall in? Try our zoomable, online map.